The kitchen is the heart of the home. It’s the room that gets the most use, and the room that brings everyone together. 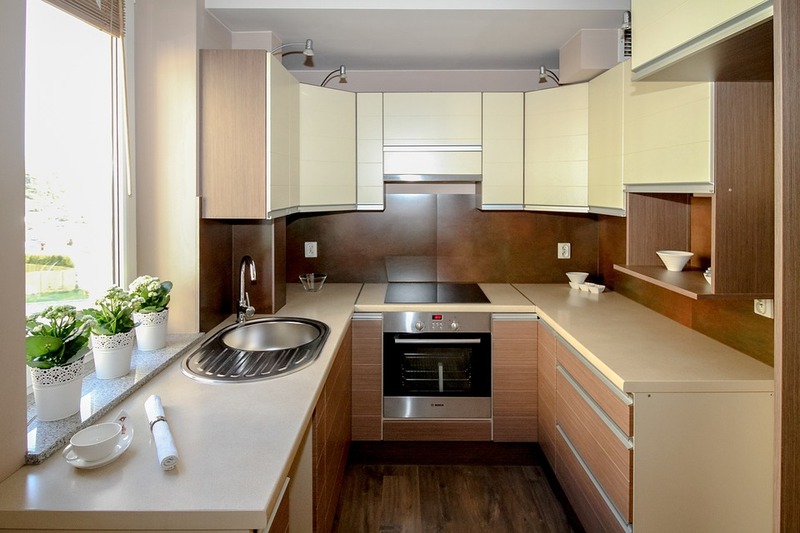 But as a renter, the hopes of a dream kitchen can sometimes go down the drain. I’ve been stuck in a bit of a rut when it comes to my rented kitchen, but as I am coming out of it I realised that you don’t have to feel uninspired by boring magnolia. All it takes is some accessorising, some creativity, and a little bit of shopping to give your rented kitchen the overhaul it needs. The easiest way to transform your space is to divert attention from the bland surroundings and probably the very boring floor too and add a statement rug. Kitchen rugs seem to be most popular in narrow galley kitchens where a runner streamlines the room, but regardless of the size or shape of your rented kitchen, adding both texture and colour to the room can make a huge difference, at a not so huge price. Lighting is one of those very simple elements that can change the feel of an entire room. Whilst we all wish we could have a chandelier or beautiful recess lights fitted, there is probably no chance your landlord will go for that. Why not use candles, and fairy lights to transform your dark kitchen in winter to a cosy way to unwind while you prepare your evening meal. For the months where you do get more natural light, then consider going sans blinds and curtains and bathe the room in beautiful, and mood-boosting natural light. Multi-purposing is the way to go when it comes to making a practical object also become a decorating piece. There are so many beautiful pieces of kitchenware that can easily tick both boxes. Use trays throughout your kitchen to keep your countertops organised, give your kitchen a modern feel by setting out a slate cheeseboard on your counter to bring some texture and interest, or give an old vase a new lease of life by letting it house your utensils. You won’t be able to make a bold statement by painting the walls or even be able to get it fitted with those gorgeous pastel appliances you so dream of, but you can go bold by making sure all your small appliances reflect your personality. If you can’t have a pink fridge, then a pink toaster and kettle are the way to go. My current kitchen has magnolia walls, rich chocolate brown countertops, and even high gloss magnolia units. Even though that would not be my colour scheme of choice, I’ve grown to love it by incorporating what I do love to the existing decorating scheme. By adding all of the elements I mentioned before into the existing decorating palette I have been pleasantly surprised at how much the boring rental kitchen has become a space I truly love.